Colts Alumni Night: Jeremy Swanson - Very Barrie Colts | A website covering the Barrie Colts of the OHL. 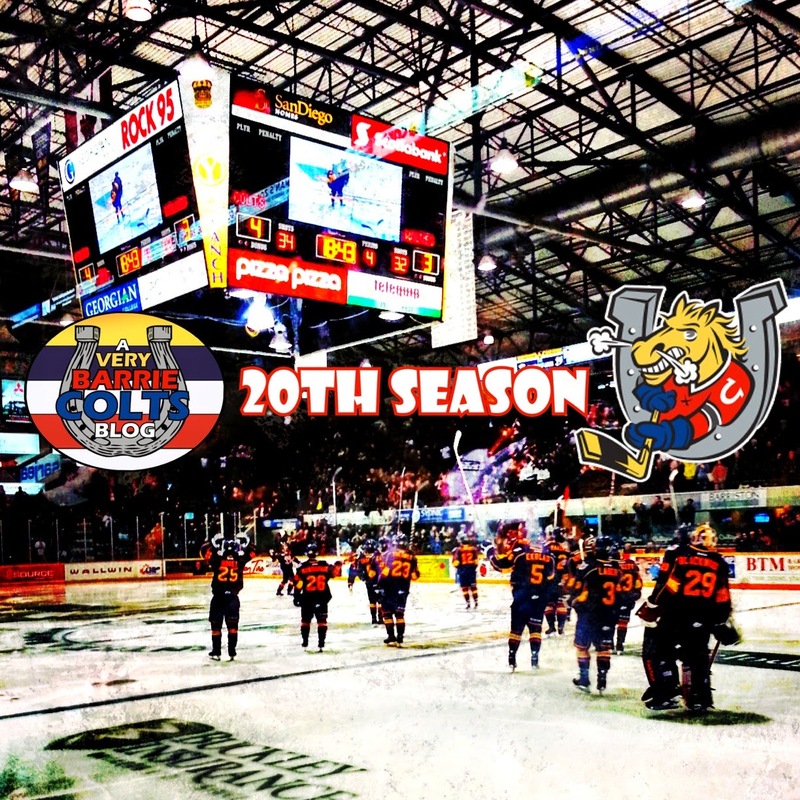 As you know, this is the 20th anniversary of the Barrie Colts. To celebrate they have invited Barrie Colts Alumni players and coaches to take part and honouring them before home games. Saturday, October 4th, Jeremy Swanson will be in attendance and remembered for his years with the team. Swanson played with the Colts for 3 seasons from 2001 to 2004. In that time he played in 201 regular season games where he totaled 20 goals, 74 assista for a total of 94 points. He also sat for 327 minutes in the penalty box. That doesn't count the 38 playoff games he had in a Colts uniform where he got 9 assists and 11 points. The Nipigon, Ontario native was also drafted by the Florida Panthers in the 2002 Entry Draft. He was selected in the 6th round, 169th overall. What can I say, the Panthers have always like Colt players..
Be sure to come and cheer him on with the Colts when they face the Ottawa 67's on Saturday, October 4th!